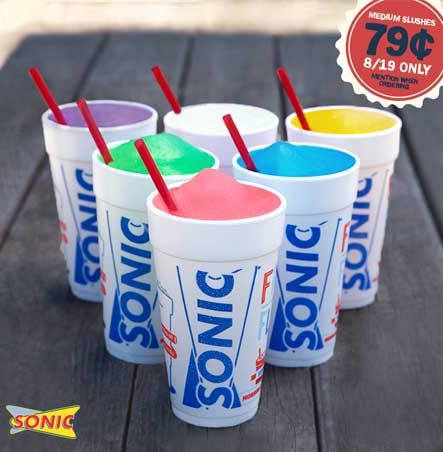 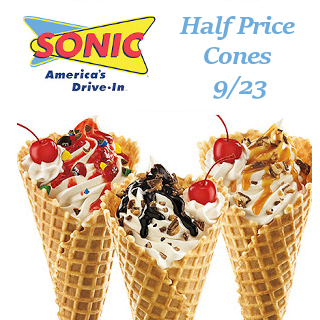 Expired: Reminder: Half Price Cones at Sonic Today! 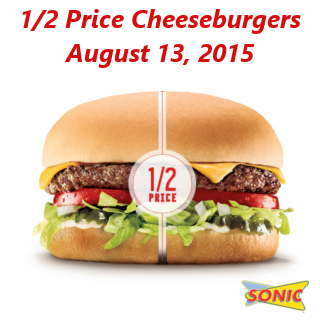 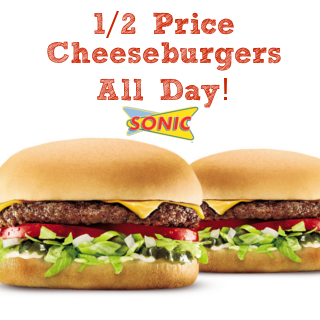 Expired: 1/2 Price Cheeseburgers at Sonic All Day! 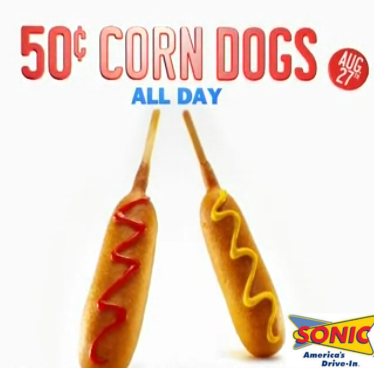 Expired: 50¢ Corn Dogs at Sonic on 8/27! 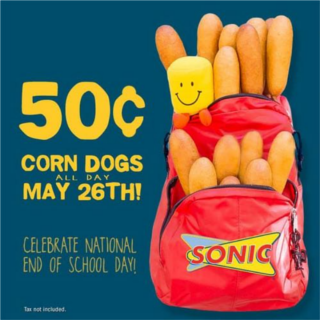 50¢ Corn Dogs at Sonic Tomorrow!